Most Indians have two names. Their birth name and what’s called a ‘pet name,’ an epithet bestowed upon them often before an official name has even been chosen. 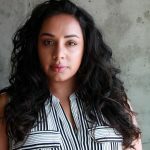 Sometimes, especially within the western South Asian diasporas, the individuals who aren’t given a pet name eventually choose one for themselves. More often than not, these nicknames sound distinctly more Western than the ones on our birth certificates. When they do, we tend to wear them proudly, like a badge of honor that makes us part of the assimilated club and, therefore, just a little bit closer to the whiteness that our parents and grandparents covet so earnestly. It’s really not their fault. This is a result of the multiple generations of brainwashing and whitewashing that has gone on in India as a result of British rule – the luggage that was handed off to our great-grandparents by a well-meaning British sahib, which they passed down to us through our parents. It’s only now that we have opened up that suitcase and begun to unpack our baggage to see it for what it really is: utter rubbish. It was the ridicule of her own traditional Sikh name at the hands of white school kids in 1960s London that provoked my mother to give me two ‘official’ names – one an Indian name and the other more Westernised. Because both names would be in my documents, I’d be able to use them interchangeably if I felt inclined to. She knew from her own experience that I would most likely encounter some bullying at school due to our race and culture. By giving me a choice in my own naming, she was offering a little protection from at least one plight endured by second-generation immigrants. It was almost as if my middle name was a secret weapon to pull out of my bag whenever the weight of white people mispronouncing and making fun of my real name got too much for me to bear. Those names she gave me are Roohi and Amber, Roohi being the Arabic word for soul and Amber coming from the Hindi word umber, meaning sky. As a child, I remember being so proud to hold these two names, especially one that was so ‘English’ sounding, unlike most of my Indian counterparts. I started life as Roohi, being called Roo by most people. However, by age seven, being called nicknames like ‘Roohi Poohi’ and asked constantly to repeat or spell my name had gotten the better of me. So, into Amber’s shoes, I stepped. It was almost like being a completely new person. Although reinventing yourself as a 7-year-old might seem a little premature, it stuck. 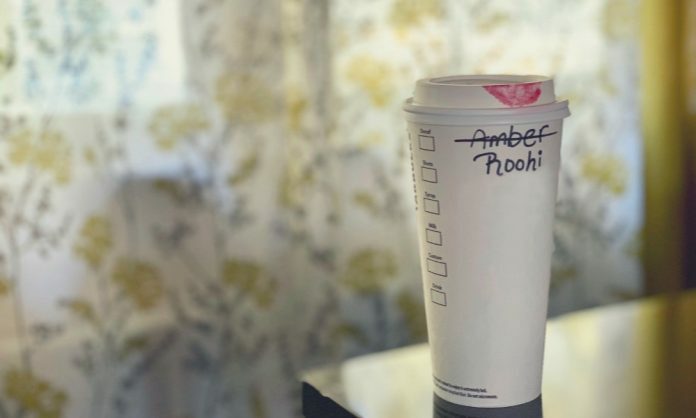 To this day, I am Amber Roohi rather than Roohi Amber. I look back now and cringe at the pleasure I took in having this name. I remember being at a club in London when I was about 16 and getting chatted up by this Indian boy. He asked my name, and when I replied “Amber,” he refused to believe that I was telling the truth. Our names are something to be ashamed of because they’re different. Any traditional name is just ‘typical’ and is a reflection on our parents’ apparent banality. We’re allowed to rename ourselves if it helps to make us more agreeable to the majority in these western societies. Hiding our Indianness behind these bastardized versions of our real names is the first step on a slippery slope to shaping our accents to conceal traces of our voices’ origin, thinning and straightening our hair to within an inch of its life so that it swishes and sways like the white girls on TV and eliminating methi and other pungent spices from our cooking so that the scent of India no longer lingers in our wake. Don’t even get me started on skin lightening creams and the glorification of fairness. The list is long, arduous and poignant, much like the inferiority complexes and British brainwashing. My family does still call me Roo, and some family friends, consequently, have no idea that I’m known as Amber in most aspects of my life. The non-Indians that find out, for one reason or another, are quite surprised as they realize that our life experiences are less aligned than they believed just moments ago and then as they fail to comprehend how someone can function with two separate names. At this point, my mother usually chimes in, explaining that she too has two names and that, actually, most Indians do. This is followed by a few murmurs of curiosity before the matter is dismissed as something too outside of their reality to fathom. The quandary in our naming is a largely shared experience, and if it has taught us anything, it’s to own our struggle. To wrap our tongues around our given names with the vigor of our ancestors and prove that they still belong to us and us to them. These native monikers have a deep significance that was not lost on our parents. They were chosen for us with reason and for guidance, being passed down through our culture and withstanding colonization, emigration and appropriation. Still, they live on, and we must wear them boldly. A name is the primary means of identification after a person’s outward appearance, and when we speak ours aloud, this alone tells the tale of our roots, roots that are held in the blood of those that came before us, blood that now flows through our own veins and carries our stories forward. Soon, I’ll be faced with the task of finding names for my own children, and my stance on the matter couldn’t be more different than it was 10 years ago. As a teen, conversations about hypothetical future children would surface names dripping in fleeting popularity or originating in Western syntax. It was, of course, the only way that friends would “ooh” and “aah” in admiration of my choices and offer comments on how cool or unique names like River or Isaiah were. However, those names hold no meaning for me. While they are beautiful in their own right, I cannot find myself or my culture in their history. It just isn’t ours. Now, I know that I’d like my children to hold names that carry their ancestry, names with letters that are coated in dust from Rajasthani streets and have been washed in water from the rivers of the Punjab, names that have come from members of our own family. If not entire names, then at least portions of them. Our names can tell the story of our DNA, our faith and our origin, sometimes right down to the village or the street that our forefathers (and mothers) came from. Whether we are from just one culture or have been blessed with two, three or even four, let them shine through in the names we’ve been given and the names that we give to the next generation. The longevity of our traditions sits on our shoulders now, and although the load is heavy, carrying it forward should not be a chore. We must do it with pride.